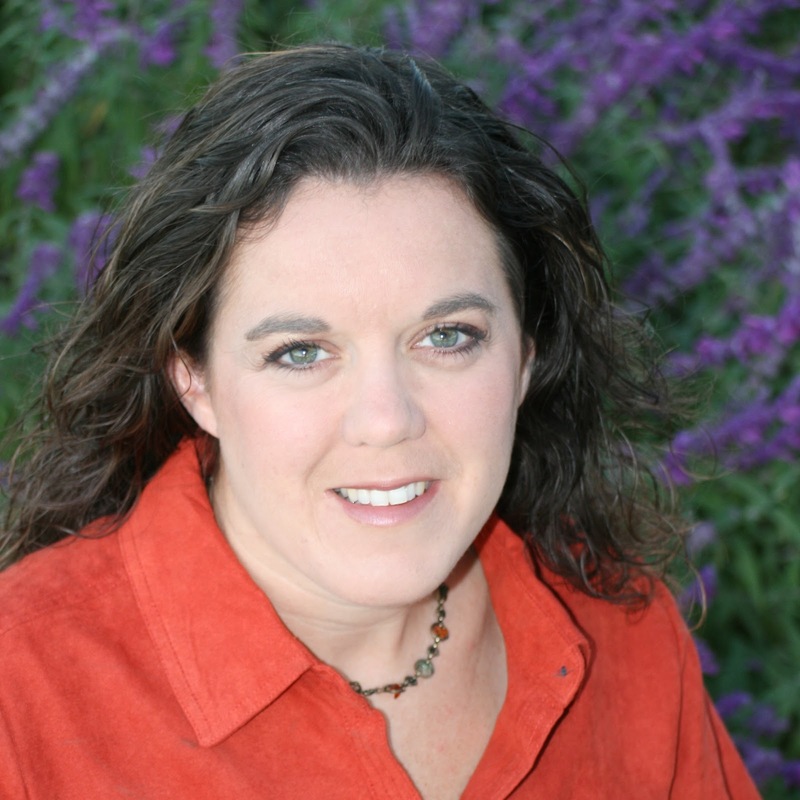 Today's guest for Saturday Stories is Maria Hoagland. She's also here for a book review so check it all out! If, when you're finished reading, you'd like to learn more about Maria check out her blog here. Q–Would you please tell us about yourself? First off, thank you so much for having me on your blog! I’m so excited to tell you about my book. But about me…I’m just your typical LDS mom who likes to write. I’ve got an amazing husband and three wonderful teenage (or almost) kids. I earned a BA at Brigham Young University. I like to run when I make time for it and I tutor 8th graders in algebra. Oh, and I’m a type 1 diabetic. Q–How did you get started writing? Like many writers, I dabbled as a kid and teen and wrote a little in college where I majored in English. When my kids were born, though, I took a break. I didn’t even have the desire to write until my youngest started kindergarten. I guess I needed blocks of uninterrupted time—I admire writers who are successful when they’ve got little ones at home. 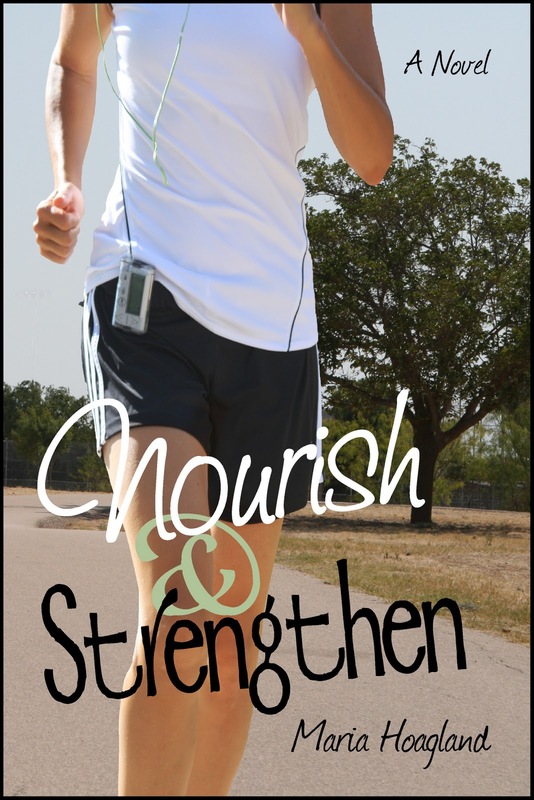 Q–Would you please tell us about your book "Nourish and Strengthen"? One thing I like about this book is that so many people get different things out of it, so I am looking forward to your take on it. The basic idea is pretty simple—Chloe, an LDS mom with young kids, gets called as the Primary president about the same time she deals with the diagnosis of type 1 diabetes. Like many LDS women, she struggles with the feeling that she needs to be perfect in all areas of her life—physically, spiritually, and socially—by being the perfect wife, mother, friend, and Primary president. Diabetes becomes just one more added stress, one more thing she needs to be perfect at—keeping her blood sugar normal, which is impossible. Q–What was the inspiration for this book? My family and I have moved around a lot and one thing seems universal in talking to my friends—I feel like we, as LDS women, can be pretty hard on ourselves sometimes. I wanted to remind myself and others that doing our best is all that has been asked of us. We don’t need to be perfect yet. It’s a process that we are all still working through. Q–How do you relate to Chloe? How are you two similar and how are you different? There are many similarities between myself and Chloe, but one thing I hope all my friends know…I am NOT as judgmental as Chloe starts out being, though I must confess, we share many of the same insecurities. Chloe and I also both have amazing husbands (I wanted that close relationship to be a constant for Chloe in the book) and three children (I thought about changing the number of children, but it worked out well—too many children could have been confusing, and fewer might have made the end more predictable). Q–What are some of the biggest misconceptions you've encountered regarding Diabetes? There are several: That you get diabetes from eating too much sugar or the wrong kinds of foods. That if you have a pump, you must have it “really bad.” That you can’t EVER eat sugar. Q–What is one thing you wish people understood about diabetes? Diabetics can live a normal life, just like everyone else. That being said, there are times I wish I could take a break from it, just for a little while. Q–In what ways do you see your diabetes as a blessing to you and your family? It definitely helps in teaching moderation. Although we don’t steer clear of sweets completely, every bite needs counted, so there is control in portion sizes and frequency. Q–If you were trapped on a tropical deserted island with your hubby and kids which category would you fall under: Survivor, Swiss Family Robinson, Gilligan's Island? Why? Assuming we weren’t diabetic (and therefore would have a chance of living), I’d have to admit that I’m a huge LOST fan. I love the complexities of the plot and the rich characterization. It would be fun to be on an island with mysteries to solve, but hopefully a little cleaner and less brutal. Q–Since tomorrow is the start of 2012, could give us two resolutions you are making? 1. Write twelve more books this year. 2. Never keep New Year’s resolutions. Just kidding! First, I plan to finish book number two before the LDStorymakers Conference in May so I can pitch to an agent; and second, I want to run at least 400 miles in 2012, since I made it to 350 this year. Q–If you had to describe yourself as an animal, which animal would it be and why? Q–What is one life lesson you've learned that you wish your 20-year-old self knew? Enjoy the size you are because it only goes downhill from here! Other than that, I don’t think I have many regrets. Q–What is your favorite candy bar and what candy bar would you only eat if you were starving? Let’s see, as a diabetic, I should say that I don’t eat candy, but of course, that would be a misconception. IMHO, the worst candy bar EVER is a Babe Ruth. What a waste! No chocolate and what’s with that sticky stuff in the middle? But I have so many favorites…all with chocolate. Sometimes I want something simple like a Hershey’s with almonds, but usually an Almond Joy makes me happiest. Chloe Taylor has the perfect life: a model’s figure, a husband who adores her, three healthy children. So why does she feel so much less than perfect? After losing forty pounds, Chloe Taylor is finally happy with her body. What she doesn’t realize is that she’s not the one in control. When Chloe is called as the Primary president, she discovers that managing the highs and lows of a chronic illness may be easier than the ups and downs associated with family, friends, and church callings. Consumed by her own challenges, Chloe fails to recognize the issues her friends are facing and is in danger of losing their friendship. As Chloe strives to develop Christ-like love for herself and those around her, she learns that outer appearances are far less important than inner peace and spiritual strength. But is she strong enough to face her most difficult trial yet? Disclaimer: I received a free e-copy of Maria's book in exchange or a review. No promise was made for a favorable review. Review: First, let me say that Maria nailed the whole church society thing. Nailed it. Chloe's difficulties were completely relatable to me and I guess I'm pretty judgmental because I could see myself doing everything she did; jumping to conclusions, giving people a few guilt trips. Been there, done that, regretted it. It was refreshing for me, in a somewhat new and large calling and still feeling overwhelmed and uncertain, to see Chloe's take on things and to realize our dilemmas weren't so very different and the way she ultimately chose to handle things is my goal. Second, it is important to note that this book bears a heavy narration about diabetes. Not that that's a bad thing. For me it wasn't. I have a slight family history of type 2 diabetes and was extremely curious to see what the life of a diabetic looked like. Maria gets pretty technical, explaining insulin pumps and carb counting but for me that was a plus. I didn't want the disease glazed over, I wanted to know all about it and this book delivered. I loved the villain, Mrs. Lewis and her perpetual belief that she knows and sees all and can run the ward better than the Bishop or anyone else for that matter. I also loved how Maria didn't just show Chloe's difficulties with the ladies with whom she served at church, she showed the back stories, explained why the characters acted the way they did that gave them all a very real feeling. I always try to tell myself that there is a history behind every frown, every angry glare and I think Maria did a great job of showing that in her book. This book is educational, inspiring and fun and if you're not afraid of a little medical explanation here and there you might just want to go check it out, especially if you want to learn more about the life of a diabetic. Any leaders out there with diabetic youth in their class? This would be a great way to get a glimpse into what their life is like...just sayin. I would love to read this book- my sister-in-law was diagnosed with diabetes when she was 3, and so it's been a big part of her family's life (she was the second youngest of 10 kids, my husband being one of her older brothers). She is now married with children of her own, one of whom has also been diagnosed with diabetes (she's only 2!). I have learned so much about the illness since she's been in my life and I'm so happy to see a book like this. I am definitely going to recommend it to her! What a unique perspective from which to write a book. Thanks for sharing this! I'd love to read this book because I've been Primary President and I know from experience that the children are not the hard part - it's the adults. Thanks for sharing your story with us, Maria. Excellent straight forward review of Nourish and Strengthen. My favorite review, so far!!! I loved the book.